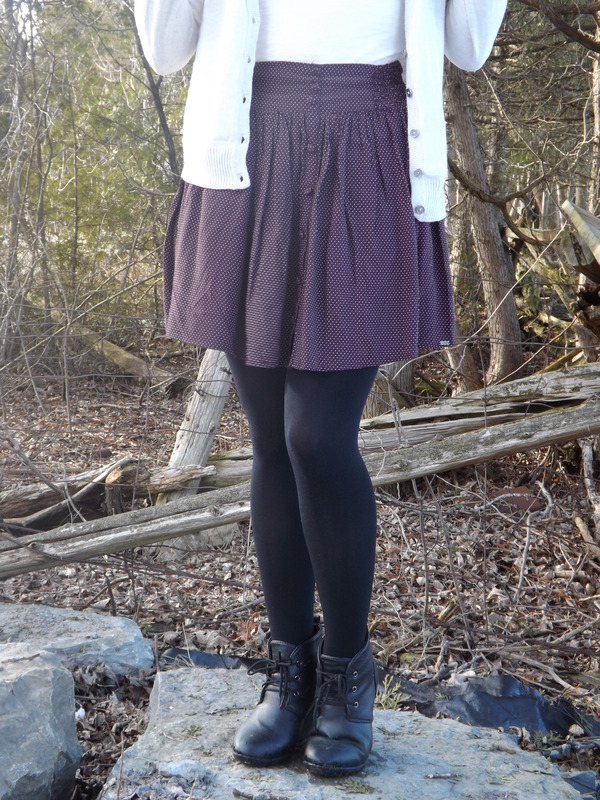 First outfit post, yay! Here goes! Today I had work and school so I wanted to look put together but still be comfy when walking around campus. I’ve been dying to wear this skirt that I picked up on a shopping trip recently. I paired it with a pair of solid black tights and a wedged boot. 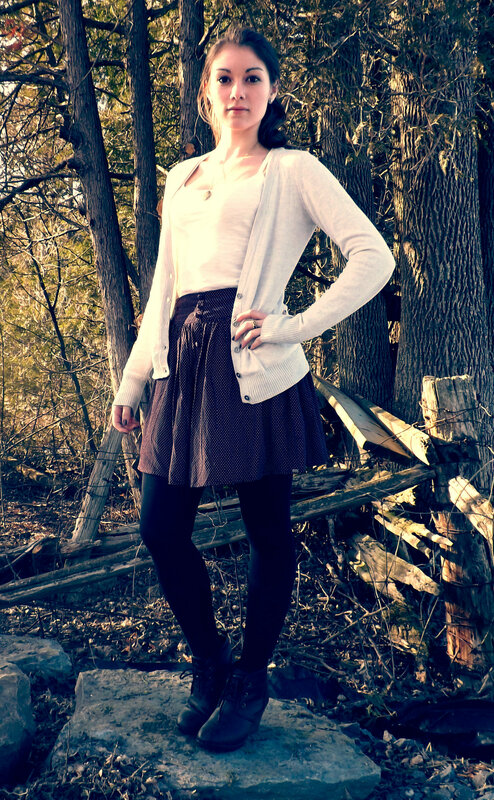 The cardigan wasn’t in the initial outfit idea, but it was necessary as it’s still really chilly in Ottawa! However it worked out better than expected. I wore a basic cream colored tank underneath. Here we go, what inspired the whole outfit…. matte red nail polish. It doesn’t feel like spring yet, hence the winter-esque colors. My apologies or the not-so-terrific quality pictures but it was so old outside. Hope you enjoyed anyways, more to come! 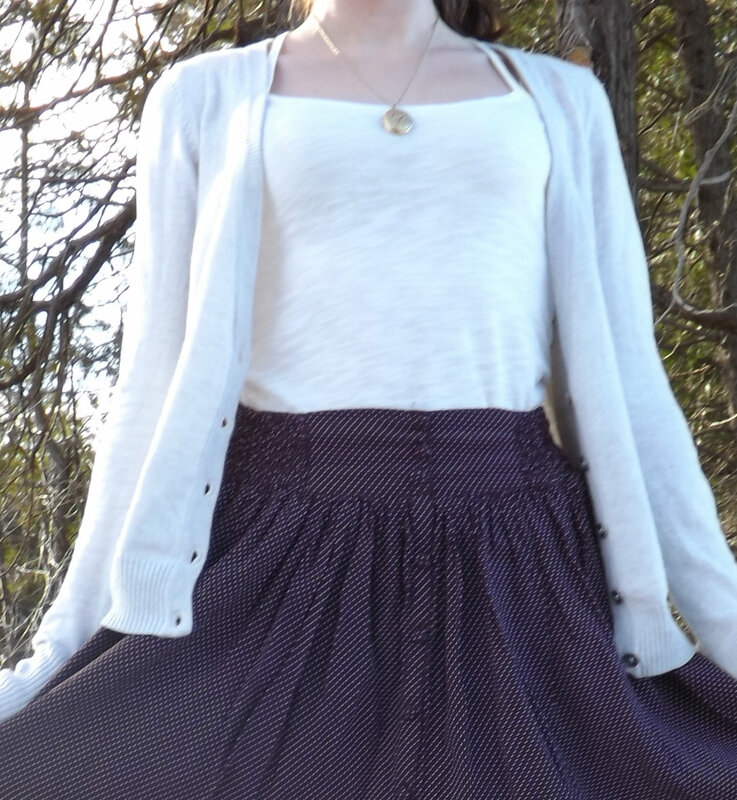 Congrats on the first outfit post! I love how polished, yet casual your outfit is!